Artist: Ljuba Simovic Title: Which is the Right Way	Date: 2016 Dimension: 20” x 20” Media: Acrylic Since her youth Ljuba has had a passion for art and has been active in her artistic development. She received her formal education in Engineering at the University of Novi Sad, Serbia and at McMaster University in Hamilton. Through the 70s Ljuba took courses at Mississauga Art Centre and at Sheridan College. More recently she has attended courses in acrylics and painting with alcohol ink at the Oakville Art Society. 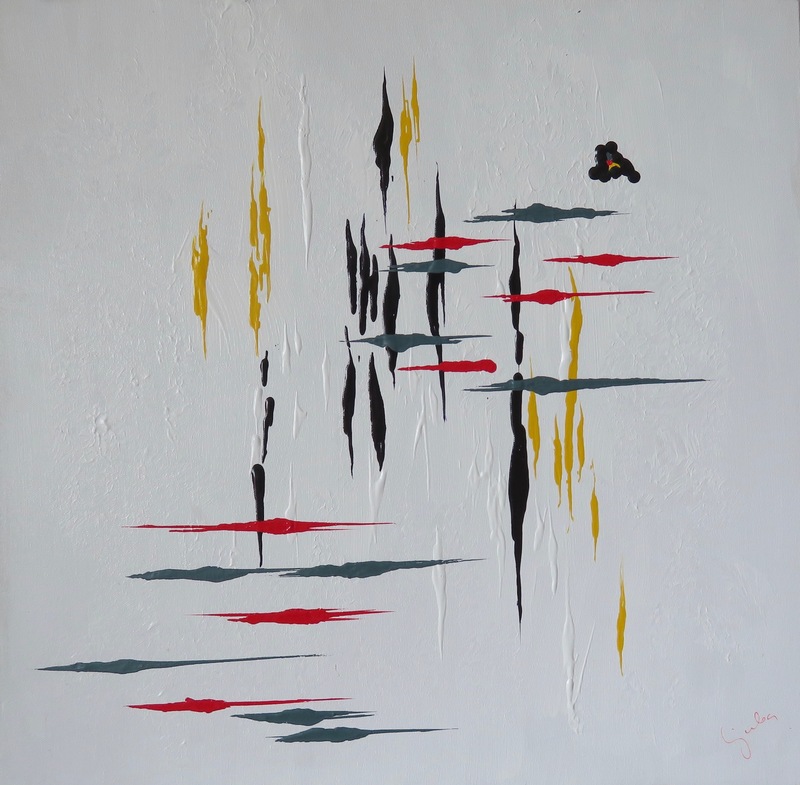 Lately, she predominantly works in acrylics creating realistic and abstract works on canvas. She has exhibited extensively in Southern Ontario and Tarpon Springs and Port Richey, Florida. At the Annual Tarpon Cover Art Show in Tarpon Springs, she received the People’s Choice Award for her work in acrylics in 2011 and 2014, and in 2012 the 2nd Place Award for a mixed media work. This year, at the Tarpon Springs Winter Show, she received a 2nd Place Award in acrylics media. Her paintings are displayed in private collections on three continents.